Likened as the French version of The Daily Show with Jon Stewart, Le Petit Journal is anchored by Yann Barthès and it has been busy mocking Fox News in the past week, a well-deserved trolling even. It all started when Fox News went to town with “no-go zones” in France (750 of them!) and starting spewing a ton of rubbish. I’ll let the following video does the talking (with English subtitles). LOL, Barbie and Ken discussing the phenomenon. However, what was less picked up elsewhere was the emission of Le Petit Journal on the following evening. I therefore can’t supply a video with subtitles, and could only link to the official video. Watch it from the time point 3’33” onwards for about 3 minutes (there was a quick summary just before that). Fox News had apparently added a new layer over their claims about “no-go zones” and included footage from a riot in 2005 without further reference, as if it’s everyday occurrence in Paris! Yann courteously invited his viewers to contact the Communication Director of Fox News and render her mailbox a “no-go zone”. Fox News did not only regurgitated nonsense on France, it has also labelled Birmingham in the UK as a completely closed to non-Muslims, causing David Cameron to nearly choke on his porridge. The “expert” half-heartedly apologised for the “human error” on BBC, but when it came to France, they remained a chicken and did not provide any apology or explanation about the “no-go zones”. Yann kindly provided a new email to contact: that of Fox News Executive Vice President. Bonus segment: “John” and “Mike” of Fox News recorded how dangerous Paris is. Look out, couscous attack! Even President Hollande weighed in in the following video. Needless to say, Fox News segments made it a complete laughingstock in the Europe, not to mention its rival stations, and Yann gleefully munched on popcorns and drinking soda when apologies were finally aired on multiple newscasts on Fox News. Of course, French are afterall polite, and now that they’ve obtained the apologies that they asked for, it is time to thank someone in Fox News. Now, who shall we email? Oh yes, it has been an entertaining week indeed. Hey Roger Ailes, is your mailbox now a “no-go zone” too? Of course, all kidding and sundry aside, there are more serious consequences following these shootings in Paris and following the publication of the latest issue of Charlie Hebdo. 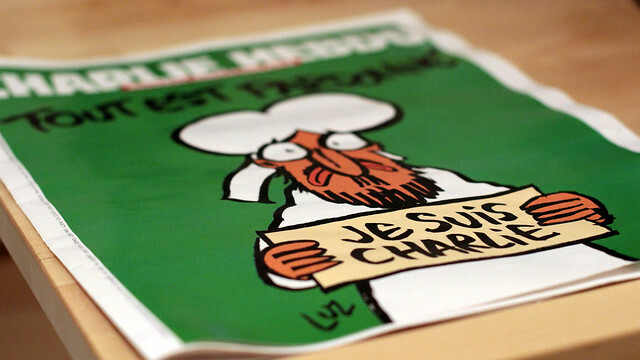 Attacks on Muslims and anti-Muslim sentiments run high in certain quarters, while anti-French and anti-Charlie demonstrations had been taking place in countries including Niger, Mali, Senegal, Pakistan, Algeria and Chechnya. Angers like these do not bad well for anyone, as more deaths took place and properties destroyed following riots and burnings; reading news articles on these made me profoundly sad.